SET CRITERIA: Whether you are a channel partner re-selling a vendor’s products/services or a vendor looking for channel partners, you have to identify and weigh what’s most important to your company. It is far too easy to be drawn into channel sales arrangements with the first company to knock on your door. The allure of choosing a company that is widely recognized within your industry can be equally hard to resist. But the most effective channel sales programs result when the vendor and channel partner have each established a set of measurable criteria with which to evaluate one another. To establish these selection criteria, you should look at your company to identify clearly and accurately your competitive position in the market, internal strengths and weaknesses, current and planned portfolio of products or services and brand equity. 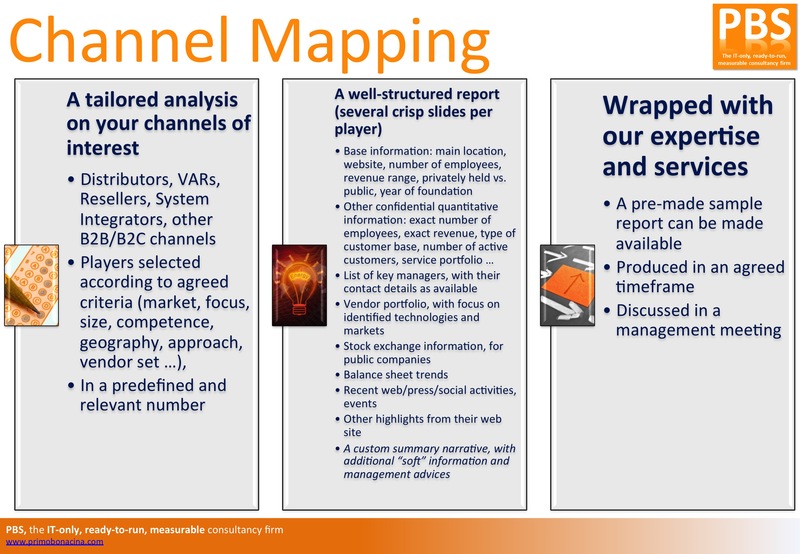 The gaps you identify through this assessment serve as the criteria for identifying potential vendors or channel partners. Score your criteria, and/or place them into broad buckets: “must-haves”, “nice-to-haves” and “must-not-haves”. TEST THE CHANNEL PARTNER: Strong channel sales programs are not created overnight. Even if all of the criteria and processes are met and followed, true success takes time. Vendors and channel sales partners should start with a well-defined project that serves to “pilot” the program. Ideally, this is a low-risk sales-focused initiative that helps each participant learn about the pros and cons of working together with a shared objective. A sample of the report will be made available upon request. The final report will be produced in an agreed timeframe and it should be discussed in a management meeting, wrapped with actionable advices.